So here's my latest WIP. After some critiques from a good friend of mine on my latest works, he suggested I should be working on more representational art pieces to show off my artistic potential. Heeding his advice I have resurrected an old project of mine. 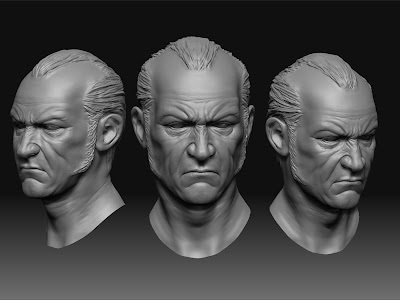 This is Eisenhorn, I had originally started creating him way back when I was just learning Zbrush2 and in an homage to how much that project taught me, I have decided to finish it. Here's what I have so far. Look forward to seeing a lot more soon. Timelapses as well.